The moral, for those of you that want the quick version; Just because a place has green beans and a nice Diedrich machine does not mean the coffee is good. 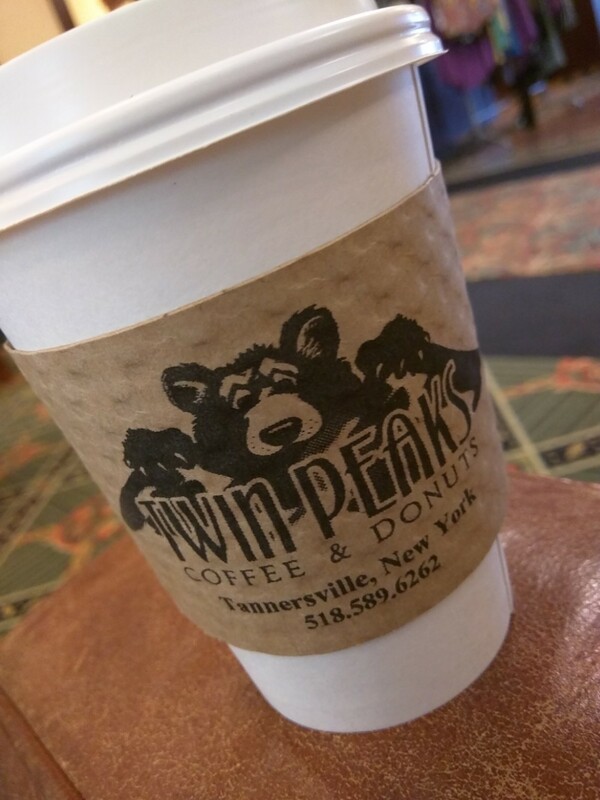 Twin Peaks Coffee & Donuts in Tannersville, NY has such a machine, and had the lure of quality. It failed to live up to the promise. There’s even bags of greens out front next to the machine. But, alas, as I see all too often, people jump on the specialty bandwagon without fully understanding what that really means. Roasting is only part of the equation. You can screw coffee up at every step of the way. Even the best roasted coffee can be brewed like crap. I can’t really speak to the roasting because the machine was not in action when I visited. But, the barrista (once she eventually ambled over) did just about everything wrong. First, the coffee was pre-ground. Seriously? You have a big roaster that you proudly show in the front of your shop, and you pre-grind your coffee?! Secondly, the shot poured in about 12 seconds. That is just way to fast…period. And, third, she steamed the milk first, and then just let it sit, without any agitation while she ran the shot.